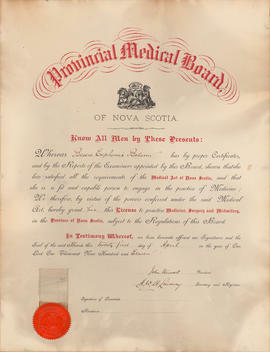 File contains a typed draft of an article about a baby who was poisoned by chemicals in breast milk, as well as an article by T. J. Murray about carbon monoxide poisoning. 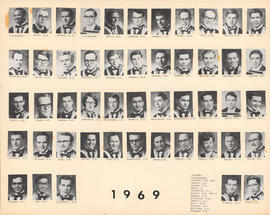 File is two composite photographs of the Dalhousie Faculty of Medicine - Fourth Year Class of 1971-1972. 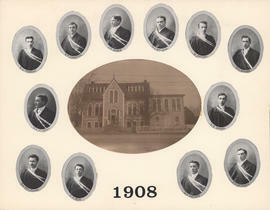 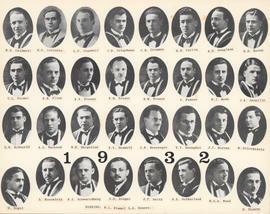 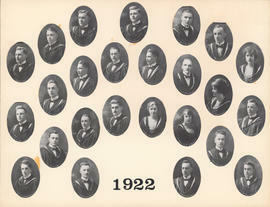 Photographs are made up of 92 individual b&w student portraits. 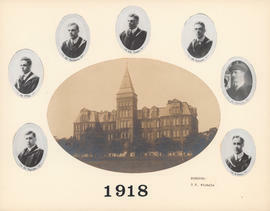 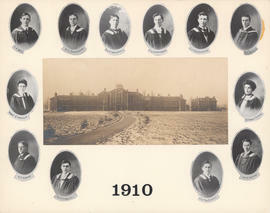 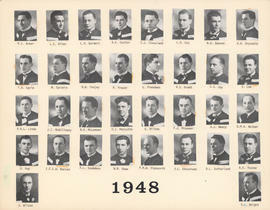 File is two composite photographs the Dalhousie Faculty of Medicine on one piece of cardstock. 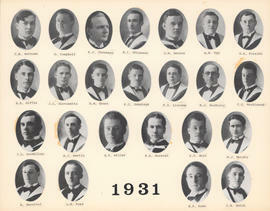 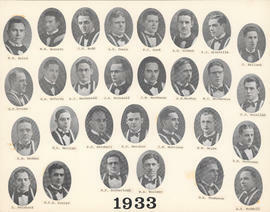 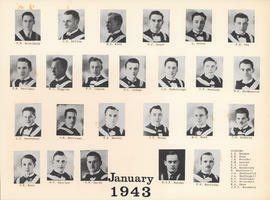 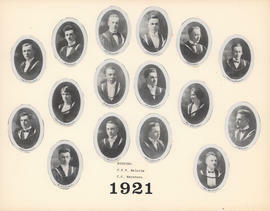 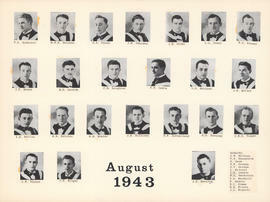 Class of 1950 on recto and Class of 1941 on verso. 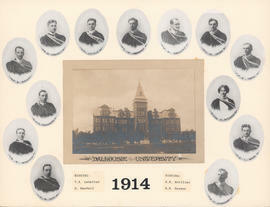 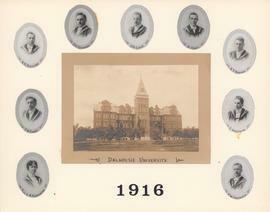 Photographs include photocopies of individual student portraits. 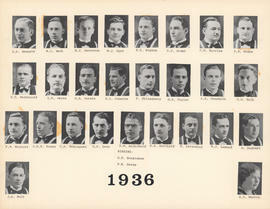 File is a single 32 x 40 cm cardstock with composite photographs on recto and verso. 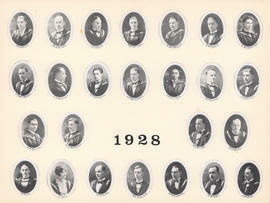 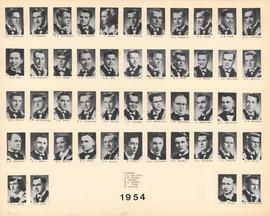 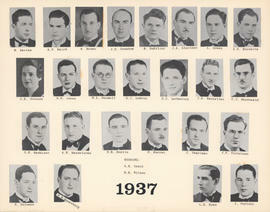 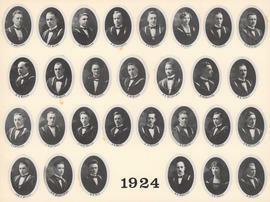 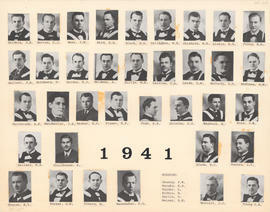 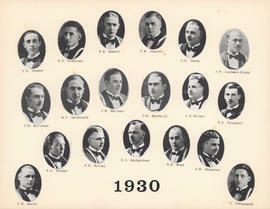 Composite photographs of Dalhousie Faculty of Medicine Class of 1954 (recto) and Class of 1969 (verso). 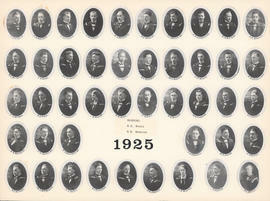 File is two photograph collages published in a magazine or newsletter by the American Medical Association. 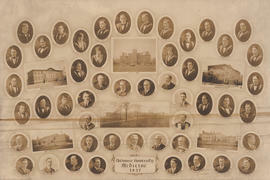 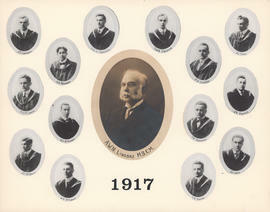 The collages include 16 individual portraits of the Section Officers for the association. 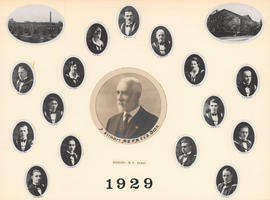 File contains correspondence from the Cogswell family, including Mary and Kay. 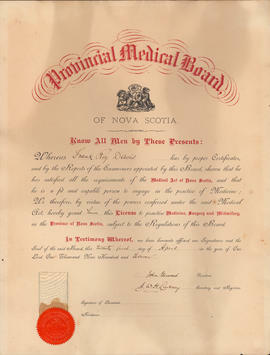 Materials also include three cards, including one wedding invitation from Heather and Brian, and some notes on medical regulations and fees.